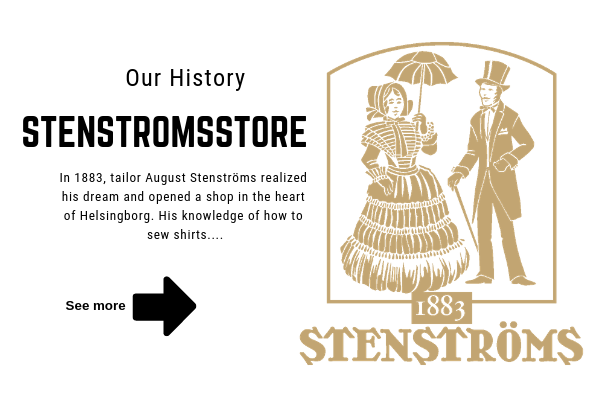 Stenströms Herr & Damekipering – A clothing establishment with proud history. 2012 Stenstromsstore opened the doors to the world wide web to supply our customers with our products, knowledge and passion for clothes. We wanted to be able to provide all those who were unable to visit our store in Helsingborg with the opportunity to buy online. 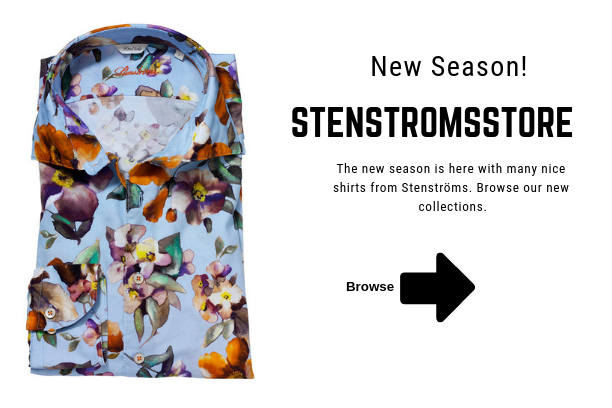 Iniatially this webshop started as a shirtshop, but now we will take one step further, of course our core brand is still and will forever be - Stenströms. We're since a few years back no longer co-owned, we're two different companies who share three things. Name, founder and our insatiable passion for clothing. Stenströms Herr & Damekipering is now a store that offers top class brands that has been hand selected from all corners of Europe. Our intention is to give the same feeling here on our webshop as you get when walking in to our store, as well as offering a bigger part of our outstanding selection of brands and products. Since 1883 we've provided Helsingborg with fashion and style counciling, today we provide more than Helsingborg.